Fair. Dust jacket cut otherwise appears unread and in very good condition. Ready to dispatch from the UK. Devastating. I will never forget the ending of this book. Much like Thomas H. Cooks "Instruments of Night". It's about addiction, faith, music, faith-healing, miracle cures, electricity,....and mental illness. Follows the life of Jamie Morton from the young boy he is when he first meets Charles Jacobs, the new, charismatic reverend with a penchant for making electric gadgets. Jacobs uses one of these to cure Jamie's brother of not being able to speak after an accident. Jamie goes on to be a traveling musician with a drug problem. He crosses the Reverend;s path adain some 25 years later. The Rev, now a side-show huckster who uses the power of electricity as par of his act. cures Jamie of his addiction. Their life paths will cross more times. Each time becoming more ominous. I don't want to say more than that out fear of taking the pleasure of reading this yourself. The sense of foreboding as the story builds is delicious. 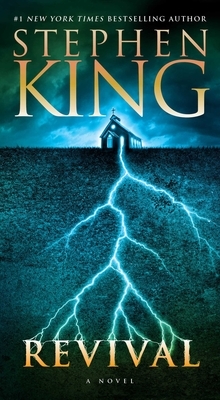 Great Book, Stephen King really takes the concept of religion and gives it a spin/reboot that you have to read to believe. I will not spoil the ending but I will say I was completely disturbed with his take on the great beyond/afterlife. Really sends a chill up your spine and gives your spiritual beliefs a kick in the pants. Wonderful book, new perspective on life and it's purpose?